Nokia will re-launch its popular 3310 mobile phone, perhaps the best-loved and most resilient phone in history. It will be revealed at Mobile World Congress later this month, according to leaker Evan Blass who first revealed the details. The phone was originally released in 2000 and in many ways beginning the modern age of mobiles. According to Independent, it will be sold as a way of getting lots of battery life in a nearly indestructible body. The new incarnation of the old 3310 will be sold for just €59 (about N23,000), and so likely be pitched as a reliable second phone to people who fondly remember it the first time around. 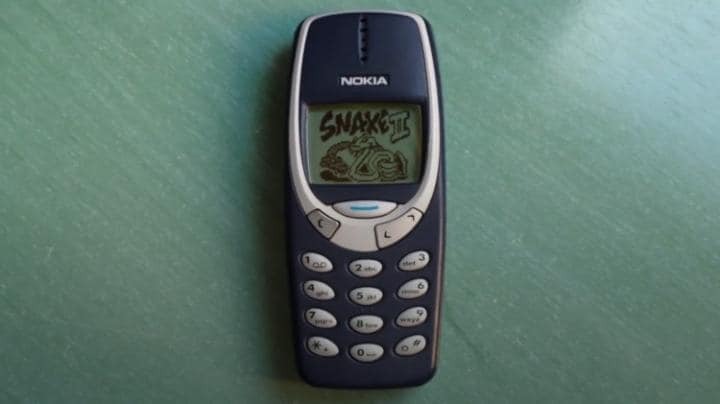 Snake was so well-loved that it’s currently available for iPhone, Android and Windows phone users to download. Nokia struggled to bring its brand into the smartphone era and ended up being sold to Microsoft. But since then it has targeted success by making new versions of old phones, including the Nokia 215, which costs $29 and lasts for 29 days. Phones made under the Nokia brand are now sold by HMD Global, a Finnish company that bought the rights to the name. HMD will reveal other new mobiles – the Nokia 3, 5 and 6 – at the same MWC event. Those other new phones will be more like smartphones but will retain much of the same low price.